Pick-up from your hotel at 8:00am and then drive to the Olympic venues to choose our favorite sandwich at Subway for lunch on the Wall. After 2.5 hours driving, we start hiking at 11:00am at Jiankou Great Wall. Jiankou is translated as “Arrow Nock” in English,in a shape of the letter “W”, like arrow nock. 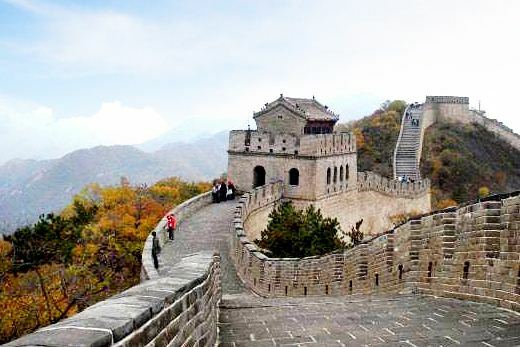 It's a 5-hour hike to Mutianyu Great Wall with superb scenery and dense vegetation. As we proceed, we will find Mutianyu Great Wall less commercialized and fewer tourists on this section. Standing on top of the wall allows us a panoramic view of the surrounding countryside, which is planted with fruit and chestnut orchards, and dotted with old pine. Afterwards, we'll drive to Gubeikou and stay overnight at a local farmer's guesthouse . Jiankou Great Wall Originally Jiankou Great Wall was built in Tang Dynasty and was restored largely in the Ming Dynasty. 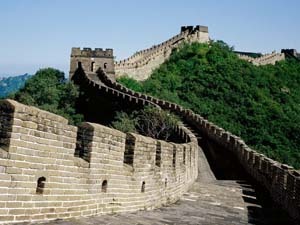 It connects to Mutianyu Great Wall in the east and Huanghuacheng Great Wall in the west. It’s the most dangerous and steep section of all Ming Dynasty Great Wall. 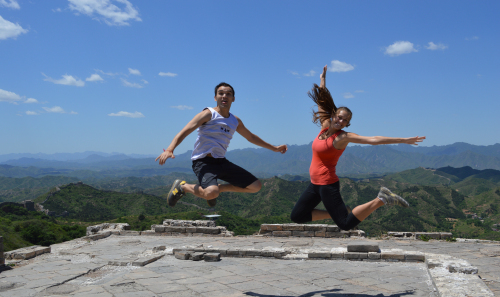 After a typical farmer’s breakfast, we will drive to Jinshanling Great Wall in 20 minutes and begin to hike at 8:00. It’s the right time to produce amazing photographs as there are fewer tourists on the wall at this time. We have the wall to ourselves. This 3-hour hike to Simatai West offers us constantly changing perspectives and wide, open views. We will get off the wall at Kylin Tower, and cannot walk to the Simatai East due to the recent closure of Simatai Great Wall. What rewards us is a unique Hotpot lunch when we back to the city. Simatai Great Wall Simatai located at the boundary between Gubeikou Town,130 km away from Beijing, and Luanping County,Hebei Province. The 19-kilometre-long wall of Simatai began its construction in 1368, with its unique design. Its 35 watchtowers are original structured and varied in form.